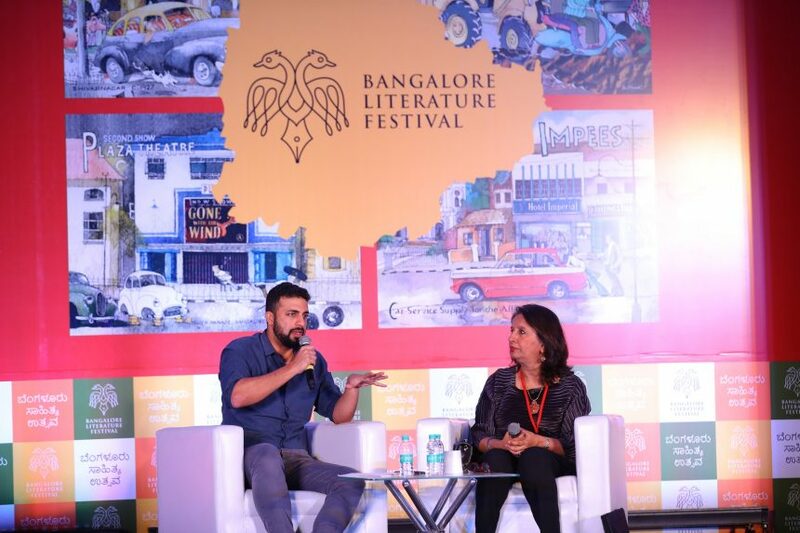 Author and Journalist, Raghu Karnad quotes journalist James Cameron as he sits down with India’s first woman Foreign Secretary Nirupama Menon Rao to discuss India and China. India and China: How History is a Fickle Mistress – the session could not be more aptly titled given the immense depth of the relationship between India and China. Nirupama who began her diplomatic career in 1973, started looking into the affairs of China only after 11 years of service in other regions like Vienna, Latin America, and Sri Lanka. Interestingly, the first time Nirupama visited China was with a film troupe that had the likes of Shabana Azmi and Sai Paranjape. She fondly recollects how India and Bollywood exerted a mystic charm on the Chinese people. But that was the 80s and the Beijing Hotel was carrying a socialistic infrastructure. The city was overflowing with cycles and the Chinese women were still clad in their regulated blue tunics. However, her association with China had begun long before that. Her first encounter with China was when she was about 8 years old when her father bought her a book from the People’s Publishing House. The title of the book read ‘Reconnaissance Across the Yangtze River’ and it introduced her to China and Mao Tse Tung. The next time it was her dentist who mentioned a certain ‘Chinese Torture’ in obvious reference to the war of 1962. This war of 1962 eclipsed the eons-long relationship between India and China and it continues to do so. Nirupama says it was Indira Gandhi who first took the effort to be not caged by the memory of 1962. She wanted to look past the unfortunate event and be open to dialogue. Nirupama quotes the Chinese Indologist Ji Xianlin, “Conceived in Heaven but constructed on earth” while speaking about the complex nature of the Indo-China relationship. While the Chinese liberation struggle followed the military route, India chose non-violence. Post the independence, Nehru wanted India and China to play a leading role together in China but she was not sure if China responded in the same breath. The 80s were an interesting time for China. Post Tiananmen period again witnessed significant changes in this bonding. Today, China is India’s largest trading partner and we have daily flights from India to Beijing. Despite all these, military tensions continue to exist. These tensions are like a pot of boiling water and constantly need to be refilled with icy water. Diplomacy and Dialogue would be that icy water that will diffuse the tension. Nirupama recalls how a Doklam like event had happened during the time Rajiv Gandhi was the Prime Minister and how he decided to travel to China to improve the situation. Any conversation on India and China cannot end without the mention of Tibet. Speaking of Tibet, Nirupama talks of the time when she met His Holiness Dalai Lama at Lucknow railway station when he was travelling to Dharamsala. ”I still treasure his autograph and I also remember the date clearly – Feb 14, 1960”, says Nirupama. Tibet, she says is the heart of Asia and it connects us together with China. She quotes Martin Luther King’s “A single garment of destiny binds us all” when she speaks of how connected India, Pakistan, China and Tibet are. She also speaks of the pristine land, crystal mountains, and monastic ruins in Tibet. Today, the rivalry between India and China on the Indian Ocean, China’s looming presence in Sri Lanka are concerning for India. But one must acknowledge that China’s pockets are deep and their speed of implementation is commendable. India has a long way to go in those aspects. We need to be prepared every day to counter these advances. Nevertheless, India’s strength lies in the fact that we are a strong democracy and have friends all over the world. The goodwill that India wields amongst other countries is not something China possesses. Having said that, India and China have coexisted as civilizations. According to Nirupama, even the word ‘Mandarin’ comes from the Sanskrit root word ‘Mantri’. She says she has a Chinese friend who teaches Bharatanatyam in Beijing for Chinese children. Movies like Dangal and 3 Idiots are huge hits in China. There is enormous acceptability to India’s soft power and India must leverage that. It might not be a bad idea to establish cultural centres outside India and teach Tagore to them. Eventually, we should start thinking about how to lead instead of being a balancing power in the Asian terrain.